Fan site of Georgian representative Sopho Khalvashi will soon be launched. At the present time it is already possible to find discussion messageboard in English at the following adress: http://www.sopho.org.ua/ It should be no strange that Georgian singer gets domain in Ukraine, as she is promoted by CFC Consulting Company, same one that successfully worked with Eurovision 2004 winner Ruslana and there are many fans of Sopho in Ukraine, after her participation in the "New Wave" song contest. Meanwhile, Sopho herself is finishing preparations for the her debut album "Visionary Dream" which will contain her Eurovision entry and other preselection entry "Freedom". Georgia page В ближайшее время будет запущен фан-сайт представительницы Грузии на Евровидении 2007 Софо Халваши. В настоящее время по адресу http://www.sopho.org.ua/ вы уже можете найти англоязычный форум певицы. Не должно быть странным, то что вебсайт расположен в зоне ua, ведь промоушеном исполнительницы занимается компания CFC Consulting, которая успешно работала с победительницей Евровидения 2004 Русланой и на Украине у певицы много поклонников еще после ее участия на конкурсе "Новая Волна". Тем временем сама Софико завершает запись своего дебютного альбома "Visionary Dream" в который войдет ее конкурсная песня и еще одна песня с национального отбора "Freedom". You can listen to them here, and also read biographies of their authors with videos to be added soon. As GPB has informed the date for national final has been rescheduled and set on March 3rd, when Sopho will perform selected songs at Tbilisi Philarmonic Big Hall, when the viewers will be able to select best song via SMS voting. Вы можете прослушать их здесь, а также ознакомиться с биографиями их авторов и в будущем просмотреть видеоклипы на них. Как сообщили в GPB, национальный финал назначен на 3 марта, когда на концерте в Большом Филармоническом Концертом Зале Тбилиси Софо Халваши исполнит 5 участвующих песен и зрители смогут определить лучшую из них СМС голосованием. Вебсайт также содержит информацию о Грузинской участнице, ее биографию, фотогаллерею, общую информацию о конкурсе Евровидение и участию Грузии в нем, а также там вы можете просмотреть дневники Евровидения, выходящие еженедельно по субботам в 20.50 местного времени на национальном телевидении. 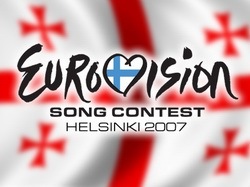 European Broadcasting Union has officially confirmed Georgian participation in Eurovision Song Contest 2007. 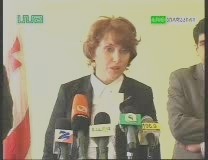 As Tamar Kintsurashvili, General Director of the Georgian Public Broadcasting confirmed at yesterday's press-conference - organization comittee that will follow all aspects of preparations for the contest has been created in GPB. Marketing service of the company has run telephone sociologist poll, where around 20 famous Georgian singers where included, 506 persons answered the poll. 63% of the votes were received by Sopho Khalvashi, who is now confirmed as Georgian representative at Eurovision Song Contest 2007. According to Giorgi Gabashvili, Georgia’s Minister of Culture, Monuments Protection and Sports, 43 countries take part in the contest and performance there is very important not only to the singers and songauthors, but to the whole country. Organization of of the promotional activities will be done by fund "Eurovision Georgia" led by Vaniko Tarkhnishvili (Promoter/Producer), Vakho Babunashvili (Musician) and Achiko Guledani (Vocalist). They will film video for the selected entry, will be responsible for choreography and additional promotion. Georgia will not have right to vote for their contestant during the contest, thus it is very important to arrange promotion of Georgian representative in foreign countries, mentioned Nutsa Dzhanelidze, producer of the song selection. As Georgian Public Broadcaster informed ESCKaz at the moment they are running the competition for songs, deadline is set for December 26. Song competition is absolutely open and public without any restrictions for foreign songwriters. Based on song competition professional jury will select 6 best songs for final live, televised concert (provisional date February 11th). Before the final concert all 6 song will be aired frequently by state radio and TV station. During the live final concert Sopho Khalvashi will perform these 6 song an public by sms voting will select the best song, which would be Georgian entry song on ESC. Sopho Khalvashi herself hopes to achieve victory or at least good result at the contest. Additional information is available at GPB website. 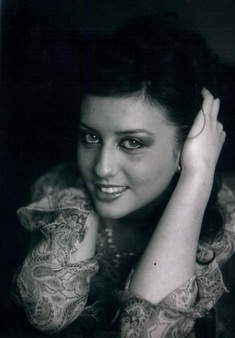 Sopho Khalvashi is winner of third prize at commercial song contest "New Wave" 2006 in Jurmala, Latvia. After success there she signed contract with Russian management agency "ARS" led by famous Russian composer Igor Krutoy, and with triumph returned back to her homeland, where immediately received suggestion from "Imedi" channel to host local talents show "On Imedi's waves". 21 year old Sopho (Sofico) lives in Batumi (Georgia). She is studying on the fourth course of musical school (piano and oboe). She is the winner of the musical contest of young singers "School of Nutsa - 2004 ". Sofico’s teacher of singing thinks, that the girl has very special voice, calling it “mezzo-soprano of big range ". The young actress was born on the last day of spring. Sofico loves rain, calls forth the desire to create something, it is especially pleasant for her to sing when it rains! Her favourite animal is a tiger. Sofico prefers to have a rest at the seaside. In her free time she enjoys roller-skating, communicating with friends and reading. She likes swimming. One of the most amusing cases in Sofico’s life was when she was late for her own birthday and on coming to the party saw her friends celebrating her birthday without her! She likes to wear jeans. In perfume she likes the aromas from Gucci and Christian Dior. She studied well at school, her favourite subject was literature, and the least favourite was chemistry. Her secret dream is to become famous and reach perfection in her profession! She dreams to sing a duet with Areta Franklin and Tina Turner. Sofico likes sincere people and can’t bear artful women and silly men. She is proud of the fact that despite difficulties, she does her favourite business. She cooks well and can cook practically everything but her borshch is always especially tasty. Her favourite writer is Michael Bulgakov. One of the books which she has recently read and which has impressed her greatly was "Alchemist" by P.Coehlo. Sofico loves different types of music of good quality, but especially classical rock. The singer likes to celebrate her favourite holiday, New Year, at home. She dreams of getting a song as a birthday present. It’s too early to speak about the debut album of Sofico – the actress is sure that she still needs to work much at it. Sofico has been singing since she was three: she used to wake up her parents and neighbours with the song of Soso Pavliashvili "It’s dawning» (which was triumphally sung by Soso in Yurmala). Sofico is planning to celebrate her fiftieth anniversary among the people she loves, in the restaurant on Tour d'Eiffel. If she had to choose what to take with her to an inhabited island, she would take a piano with her. She easily gets up in the morning, at about nine o’clock, and almost always with a sensation of happiness. – Her favourite expression is "The one who searches will always find!". In her childhood she dreamed of becoming "a doctor of dogs" - that is a veterinary. The refrigerator of the young actress always contains … beer! Her favorite dance is a rock-and-roll, her favorite fruit is pineapple, and her favorite sweets are kozinaki. She dreams of doing a parachute jump one day – how can it be possible to miss a chance to feel like a bird? She never leaves home without make-up, her handy and … without mood. She is afraid of darkness. She doesn’t believe in signs. She wishes she could visit Ancient Greece – it would be very interesting to have a look at how people lived those days. (NW) Европейский союз вещания официально подтвердил сообщение о том, что Грузия примет участие в конкурсе песни "Евровидение 2007". Как заявила руководитель "Общественного Вещания" Тамар Кинцурашвили, в связи с этим на телевидении уже создана организационная группа, которая работает по вопросам подготовки конкурса. Маркетинговая служба провела телефонный опрос, в котором участвовали около 20-ти грузинских певцов. В ходе опроса 506-ти респондентов 63% голосов получила Софо Халваши. Соответственно, именно Софо Халваши представит Грузию на "Евровидении" в мае 2007 года. По заявлению министра культуры, охраны памятников и спорта Георгия Габашвили, в конкурсе принимают участие 43 страны, и выступление на этом мероприятии означает представление не только песни, но и всей страны. Организационной деятельностью займется фонд "Евровидение-Грузия", в который входит Вано Тархнишвили (продюсер), Вахо Бабунашвили (музыкант) и Ачико Гуледани (исполнитель). Именно они подготовят клип к отобранной песне, позаботятся о постановке шоу и промоушене клипа. У Грузии не будет права в день конкурса голосовать за своего представителя, поэтому важно обеспечить промоушен клипа грузинской исполнительницы в других странах, сообщила продюсер конкурса по отбору песни Нуца Джанелидзе. Как проинформировала ESCKaz телекомпания Грузии в настоящее время проходит сбор песен на участие в национальном финале, крайний срок подачи заявок установлен на 26 декабря. Подача заявок абсолютно открыта для публики, никаких ограничений по гражданству не установлено. По итогам сбора заявок профессиональное жюри выберет 6 лучших песен, для финала, который пройдет в форме концерта в прямом эфире (предварительно установлена дата 11 февраля). До концерта эти 6 песен будут ротироваться на радио и телеканалах. Во время концерта Софо Халваши исполнит эти 6 песен, и зрители путем СМС голосования выберут лучшую песню, которая представит Грузию на Евровидении 2007. Сама Софо Халваши надеется, что она принесет Грузии победу и призовое место. Софо Халваши - обладательница третьего места на коммерческом конкурсе "Новая Волна" в Юрмале 2006, по итогам которого заключила контракт с продюсерской компанией Игоря Крутого «Арс» и с триумфом вернулась на родину, где ее ожидало не менее заманчивое предложение от телеканала «Имеди» - стать ведущей музыкального проекта «На волнах Имеди». 21-летняя Софо (Софико) живет в Батуми (Грузия). Учится на IV курсе музыкального училища (фортепиано, гобой). Является победителем конкурса молодых исполнителей «Школа Нуцы – 2004». Педагог Софико по вокалу считает, что у девушки очень интересный голос, именуя его «меццо-сопрано большого диапазона». День рождения молодой артистки – в последний день весны. Софико любит дождь, он настраивает ее на творческий лад, особенно нравится петь во время дождя! Любимое животное – тигр. Отдыхать лучше всего у моря, считает Софико. В свободное время катается на роликах, общается с друзьями, читает. Занимается плаванием. Один из забавных случаев в жизни Софико – когда она опоздала на собственный день рождения, в то время как ее друзья отлично праздновали без виновницы торжества! Из одежды предпочитает джинсы. Нравятся ароматы от Gucci, Christian Dior. В школе училась на «4» и «5», любимый предмет – литература, нелюбимый – химия. Заветная мечта – запомниться и достичь совершенства в профессии! Мечтает спеть дуэтом с Аретой Франклин и Тиной Тернер. Софико привлекают искренние люди, а особое отторжение вызывают коварные женщины и глупые мужчины. Гордится тем, что, несмотря на трудности, занимается любимым делом. Хорошо готовит, умеет практически все, но особенно удается ей борщ. Любимый писатель – Михаил Булгаков. Одна из недавно прочитанных книг, оставивших яркое впечатление – «Алхимик» П.Коэльо. Софико любит качественную музыку всех направлений, но особенно - классический рок. Любимый праздник - Новый год - певица любит отмечать дома. В подарок на день рождения хотела бы получить песню. О дебютном альбоме Софико говорить еще рано – над ним еще работать и работать, уверена артистка. Поет Софико с трех лет: будила домашних, соседей песней Сосо Павлиашвили - «Светает» (с которой Сосо триумфально выступил в Юрмале). Свое пятидесятилетие Софико планирует отмечать с теми, кого любит, в ресторане на Эйфелевой башне. При сборах на необитаемый остров в первую очередь захватила бы с собой рояль. Beka Japaridze was born on October 1, 1982 in Tbilisi, Georgia. He graduated from the Tbilisi Academy of Modern Art and Show Business. 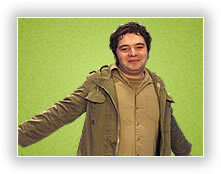 In 2000-2004, Japaridze worked for studio “Georgian Records,” as Audio Director. Since 2004 he has been General Producer of “Step Record” Company. At present Japaridze continues working on a number of projects: Group “String,” albums of Brothers Lezhavas and Group “Soft Eject.” Japaridze is the producer of the album “The Last Minute of a Terrorist” by Group “Mtsvane Otakhi” (Green Room). Japaridze authored the project “Chven Erti Gundi Vart” (We are One Team) – The anthem of Fan Club of the Georgian National Football Team – official as well as rock and electronic versions, which included the music for the film “Erti Gundi” (One Team). He also worked out Rock version of Georgia’s State Anthem. Bibi Kvachadze, a Georgian musician, composer and songwriter has been involved in mass-communications activities for many years. During the period of 1995-2001 he was Musical Director of the television studio “Maestro.” He worked as a DJ at the same time. 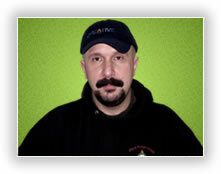 Kvachadze is an author, host and producer of a number of popular musical radio programs and talk shows (Radio “96,” “Audientsia”). Based on his professional education he is a specialist of International Relations, Law and Economy. GPB representatives stated to ESCKaz: "There are discussions about our participation this year. After they will be finished we're going to send confirming application to EBU". ESCKaz уже располагает информацией о ряде российских исполнителей, с грузинским происхождением, которые заинтересованы в том, чтобы представить на конкурсе Евровидение 2007 свою родную страну, уже закончив запись потенциальных песен для конкурса.